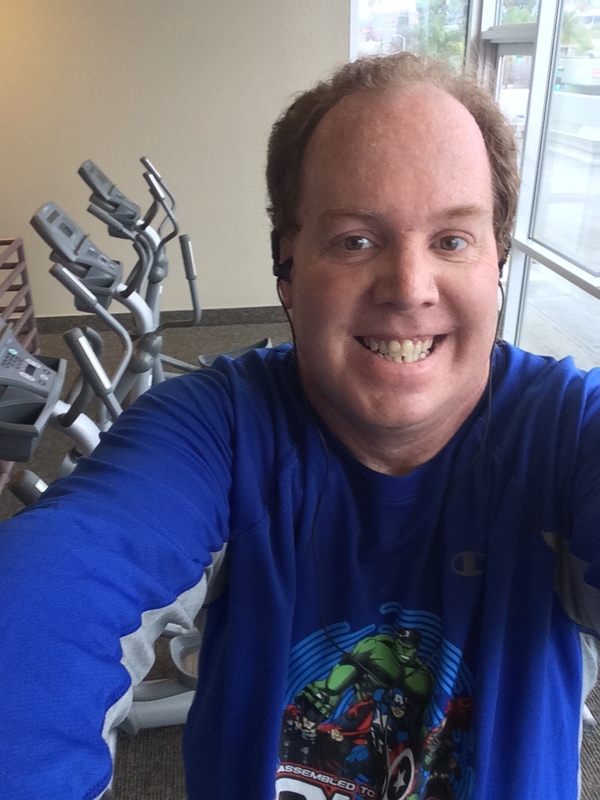 Once the Star Wars Half Marathon Week ended, I started two weeks in between training plans. The first week, I took off. But, this week I was back at it in what was a strange week. I’m looking forward to this coming week as I start the training cycle for the 2016 Suja Rock n Roll San Diego Half Marathon. On Tuesday, I had an easy paced 3 miles. It was a run 30 seconds, walk 90 seconds day. This was about getting moving again. Also, on Tuesday, we saw the prices for the 2016 Disneyland Half Marathon Weekend. With this being a hot topic on the minds of runDisney fans, I had a lot to think about while out on this run. To run Dumbo again, or not to run Dumbo again? That was the question. Since I wasn’t pushing too hard on this run, I did weigh my options. It was kind of cool to have a run to think about things. Mile 1 was run in just under 12 minutes. I was okay with that. Oh, the joy of running without any pressure to get a particular time! You all should have some of these kinds of runs in your schedule. Mile 2 was predictably slower…12:26. As I got into mile 3, I was really happy with where I was at. I crossed the end of mile 2 at 24:26. So, I wanted to know if I could get back under 12 minutes per mile while maintaining the run 30, walk 90 seconds. The answer was…almost. By the end, I wasn’t happy thinking that I’d finish over 36 minutes. So, I ran a minute, walked 30 seconds, and then ran almost 45 seconds to finish in 36:11. While it bummed me out a little bit that I was over that 36 minute mark, I wasn’t too bummed. After all, this week was kind of for fun. Plus, I did figure out some things about the Disneyland Half Marathon weekend (that I’ll share tomorrow). So, all was not lost. I skipped my run on Thursday to work on my Adoption Portfolio. Brooke and I have been working at an update for the past few months. We really need to get it done. Plus, without a real plan for the week, my motivation was a little low. 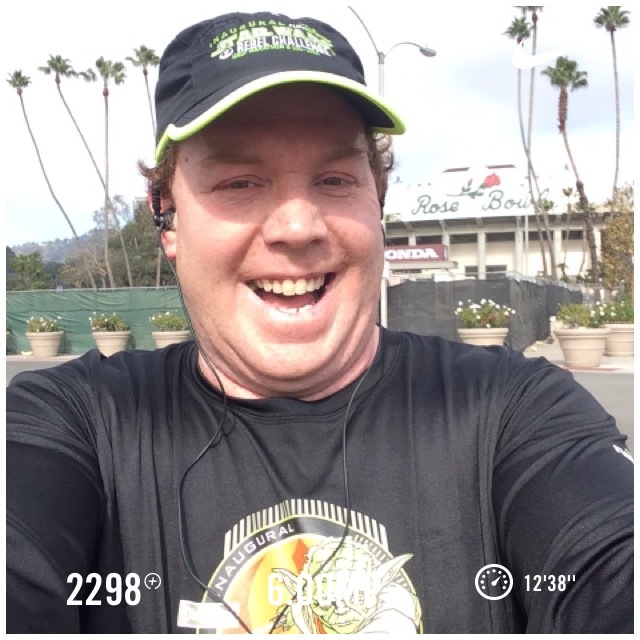 I did make sure to get out and run 6 miles around the Rose Bowl on Saturday. As I drove to the Bowl, I debated on how to approach this run. After all, it is the longest run I will have on the calendar for almost a month. 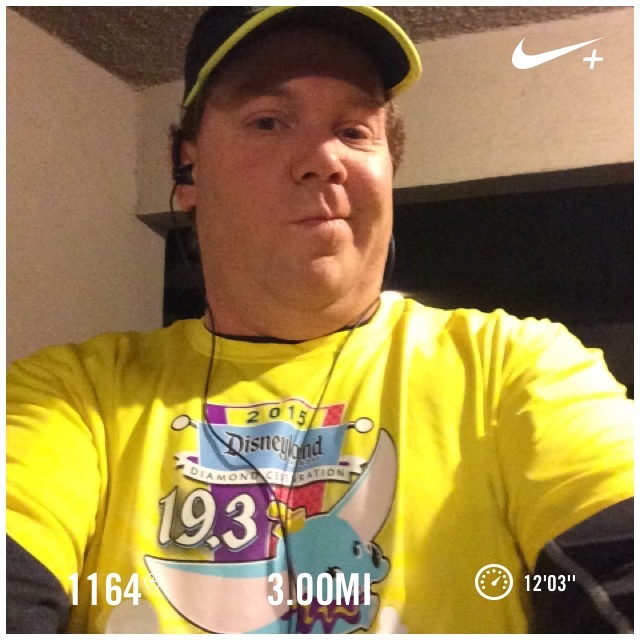 I decided to start off with run 30, walk 90 seconds and take it from there. I finished the first mile in 12:15, which isn’t too bad for a first mile at the Bowl for me. So, I just kept going. I decided in the first mile that I would once again keep the run 30 seconds, walk 90 seconds for all 6 miles. This was a tune up run to get me ready for the rigors of training for a half marathon. Mile 2 was also finished in 12:15. I thought to myself…”Hey, consistency!” I liked that. Mile 3 was finished in 12:10. So, I made up a few seconds in that mile. However, I was able to finish the first three miles in roughly the same time each mile. At the start of mile 4, I felt a little pain in the lower part of my shin. It bothered me a little bit. So, I decided to slow down my walking pace. That proved to be what got me through the mile. Although, the slower walking lead to a slower mile. I finished mile 4 in 13:38. It was a little disappointing to not keep my 12:15 streak going. But, ultimately, since I was feeling better by the end of the mile, I was okay with it. Mile 5 felt much better. Towards the end of mile 5, I saw my friend Juliana running around the Bowl! It’s always fun to see people you know on a training run! I finished mile 5 in 13:04. On my first time around the loop, I was on a walk break when I passed the World Vision team training for the Los Angeles Marathon. One of them loved my Rebel Challenge shirt. When I got back to that point, only one runner remained. I decided to start a run interval after only 60 seconds of walking so I could run by this time. I didn’t want to look like someone who walked the entire way. After that interval, I went back to the run 30, walk 90 seconds. I altered it again at the end. I was kind of not liking that my finish time would be over 1 hour 15 minutes. So, at the 1 hour, 15 minute mark, I decided to run all the way until I heard “6 miles completed!” in the earphones. The last mile was finished in 12:21. Not bad. My last lap was more typical of running around the Rose Bowl loop. Mile 1 is slow, Mile 2 is slightly faster, then Mile 3 is the best mile of the loop. Sunday, I was back at the gym. In my mind, this was my first real workout of the Rock n Roll San Diego Half Marathon training cycle. I had a plan going in that I wanted to try out. If it went well, this is what I’d be building on at the gym. Part of the training plan involves running Yasso 800’s. Well, for this run/walk runner who mostly runs in 30-45 second intervals, the idea of running a half mile without stopping is intimidating. 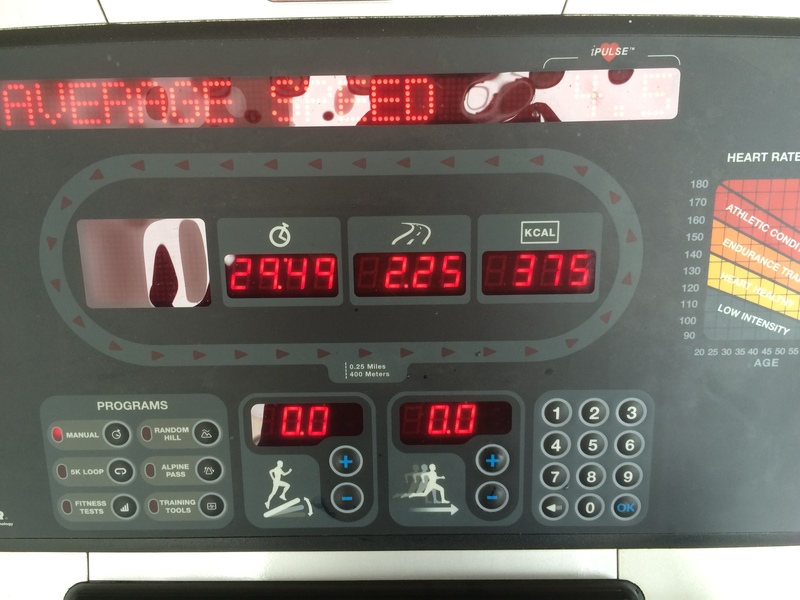 So, I thought I’d try out running 4 x 400 on the tread mill. I walked the first quarter-mile to warm up. Then, it was run a quarter-mile, walk a quarter-mile. Then, repeat 4 times. As you can see from the picture above, when I’m on the treadmill, I’m a little slower than when running outdoors. Since this was a trial, I wasn’t too concerned. I warmed up with a quarter-mile walking at 3.5mph. Then, I started running. Each run lap was done at 6.0mph, the walking laps were done at 4.0mph. On the walk lap before my last running lap, I slowed the speed to 3.5mph because I felt like I needed it. I made it through the entire 4 x 400! Next week, I shouldn’t need t slow down on the last walking lap. I went from the treadmill to the assisted chin-ups and dips machine. That part went exactly as planned. No problems. Then, I headed to the crunch machine. No problems there. The leg press machine went well, too! However, when I got started on the elliptical machine, the problems started. The first minute was a breeze. Then, my legs starting feeling like jello. I haven’t had a gym workout with both running on the treadmill and the elliptical machine in quite some time. I think that did me in. There were several stops along the way to get me to 15 minutes. My plan was to do 25 minutes. So, giving up 10 minutes made this a less than perfect time at the gym. However, it does give my body a chance to see what I’m planning on putting it through over these next few months. On Wednesday, I’ll talk about the plan I have to get me to the Rock n Roll San Diego Half Marathon ready to run a 2:30 half marathon. With that gym workout, my training for January 2016 has come to an end. Here’s what the Nike Plus has me down for in this month. 60.9 miles. 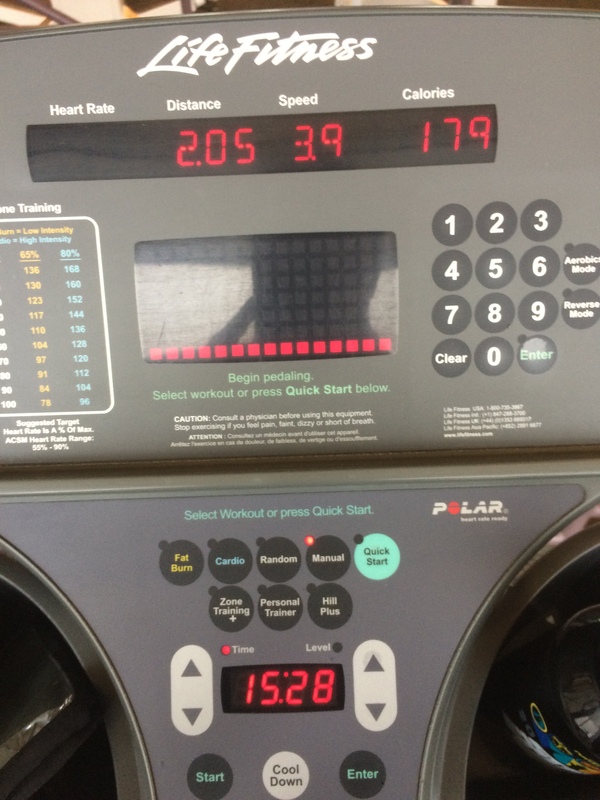 In addition to that, I have two more treadmill runs to add…one for 3 miles and the one I just did on Sunday for 2.25 miles. 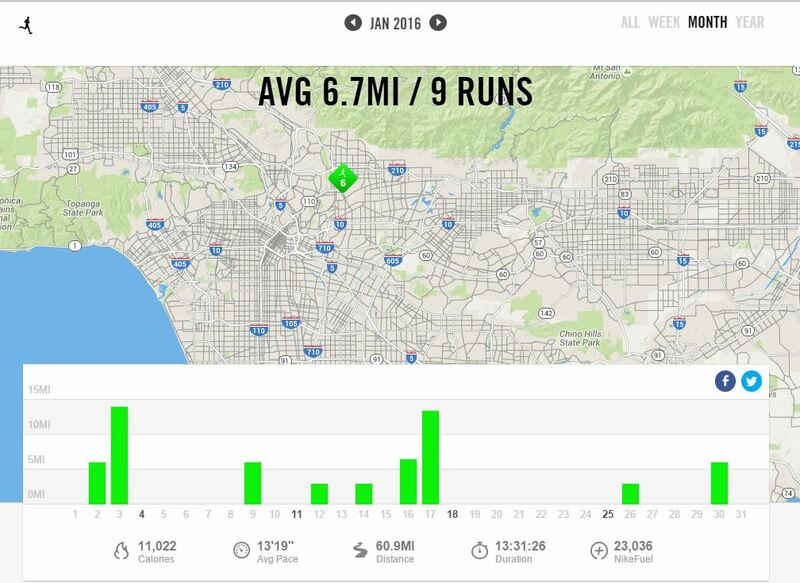 If you add those miles, I’ve run 66.15 miles in 2016 so far! 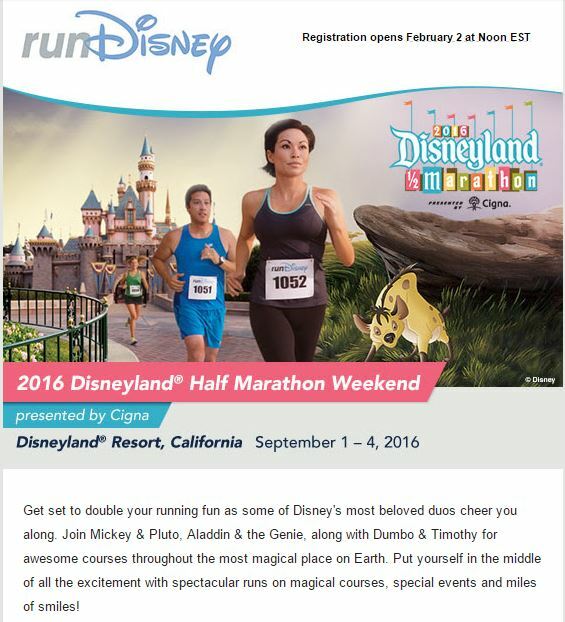 Don’t forget…the 2016 Disneyland Half Marathon Weekend registration opens TOMORROW at 9am PDT/Noon EDT! If you want in for the Disneyland 5K, Disneyland 10K, Dumbo Double Dare, or the Kids Races, you will want to be at your computers promptly at that time. Each of these races will sell out quickly. So, are you in for any of the races this Labor Day? I’ll tell you tomorrow what I’ve decided for myself. The Force was Strong at the Star Wars Half Marathon! so good seeing you on Saturday!